The work of Angela Canada Hopkins fascinates me. Her images grace magazine and periodical covers. Her bright colors and interesting shapes converted a 5-surfaced electrical transformer box into a multidimensional work of art as part of Loveland, Colorado's Transformations project. See the full article here as a .pdf and perhaps you'll be fascinated by her work, too. Loveland, Colorado entered into a formal predevelopment agreement with the nation's largest non-profit real estate developer - Artspace. Although the exact location is yet to be determined, the $15-$20 million Artspace project expects to create affordable live/work space for 45 artists in a 60,000 square foot facility that will also house exhibition and meeting space. 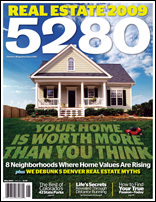 Read "Space to Grow" in the December 2010 issue of 5280 to learn more. Click here to see full article as a .pdf. Laughter Yoga is fun greatly beneficial to your health! It was a blast meeting folks in Denver's Laughter Yoga clubs who take their laughter quite seriously. What a great bunch! Can't wait to join them again. 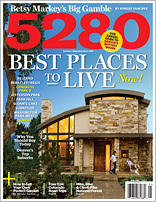 Read about it on page 38 of the September 2010 issue of 5280. Heather Janssen founded and edits get born magazine, a snarky literary magazine that discussing motherhood with unapologetic honesty. Check out Mj's "Uncensored" on pg. 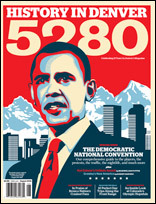 39 of the May 2010 issue of 5280! 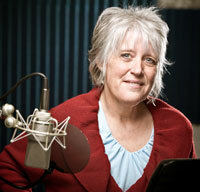 Loveland resident Linda Joy gives voice to cast of characters. interesting place to live. Read her story here (as a .pdf) or online in the Northern Colorado Business Report. is all about her passion - tandem bike riding! of Colorado Authors' League to volunteer. What author wouldn't want to enable readers? doing something valuable in your corner of the world. 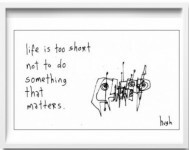 Hugh MacCleod's cartoons (GapingVoid.com) just crack me up! thousands of them ... he also sells his framed artwork full size. 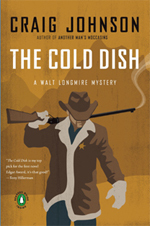 The Cold Dish were fun - especially his presentation at the Rialto. Local artists turn DIA into an art exhibition. she writes for us. We value her contributions!" It is always a privilege for Maryjo to share another's success in print! look at her fabulous cookbook! 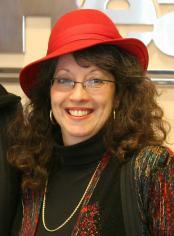 As a writer and a reader, Maryjo is passionate about literacy. 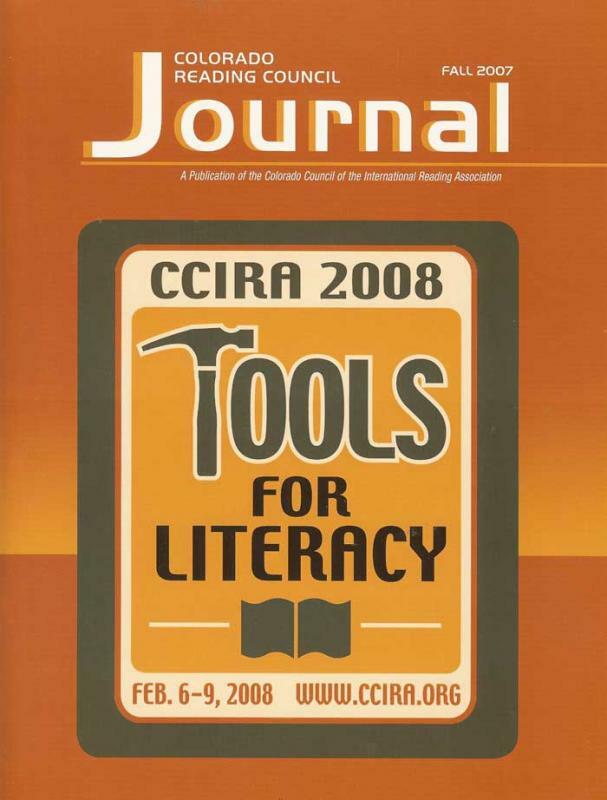 Fall 2007 Colorado Reading Council Journal. Click here to read the text. Do you know someone who isn't sure her vote counts? Give her a great gift ... Sybil Downing's timely book, The Vote! Maryjo had fun being interviewed by Asst. Producer and Director Mark Oldfield for "Colorado Focus" on KWHD TV 53 Denver. 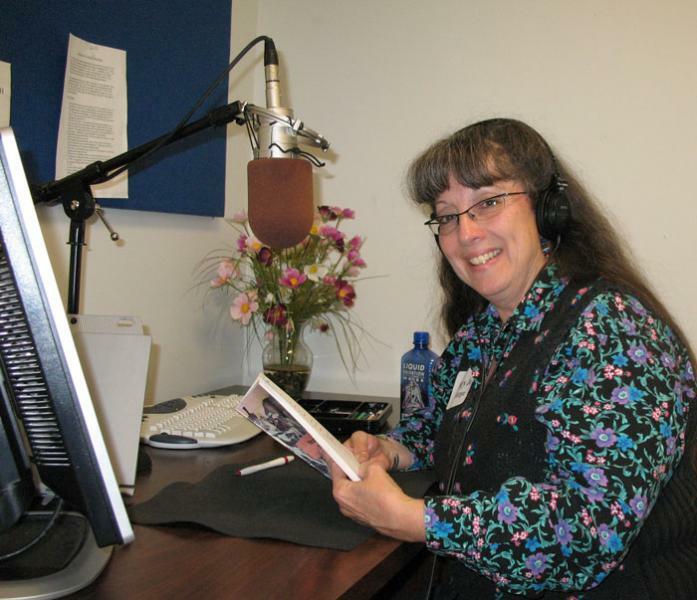 It aired in April 14 on Channel 11 in Loveland, CO. She and fellow Weekly Writers' Workshop member Cheryl Courtney discussed writing along the Front Range, Colorado Authors' League, and the sheer joy of making connections with other writers. She was thrilled about this opportunity to further connect the writing community here along the Front Range. The whole experience turned out better thanshe ever could have imagined. Click here to view the half hour interview. KWHD TV53Denver also airs on Channel 17 in Fort Collins, and Dish 321. NOTE: Broadband & cable work fine, but If you are on 128 kb/s or less, once the download starts, hit the "pause" on the player and wait until it is finished downloading before you start watching it - about an hour. Maryjo Faith Morgan (aka MJ Morgan) is a full time freelance writer and a partner in FredsUsedWebsites.com. She believes in small business and is an active member of the Loveland Chamber of Commerce and the Berthoud Chamber of Commerce. She and Fred Richart, webmaster of FredsUsedWebsites.com are happy to be involved in producing Loveland365, a book that promotes Loveland by highlighting the People, Places, and Things that make Loveland America's Sweetheart City. Throughout 2010 our team has complied photographs and stories that spotlight many citizens, major events and favorite places here in Loveland. It is a 9"x12" heirloom quality hard cover coffee table book, due out for Mother's Day. For each Loveland 365 book sold, selected non-profit organizations will receive up to $20! 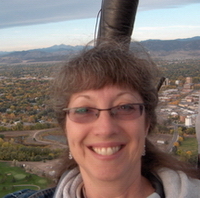 Mj is a member of Colorado Authors' League, Colorado Women of Influence and is the founder/moderator of Weekly Writers' Workshop and blog "Under The Cuckoo Clock." Her writing covers everything from lifestyle and art & culture to personal profiles and business. 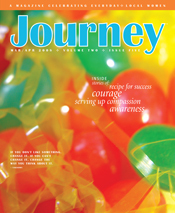 Mj's articles have appeared in Denver's 5280, Northern Colorado Business Report, Loveland Chamber of Commerce "Aware!" Newsletter, Loveland Reporter-Herald, Lydia’s Style, The Berthoud Weekly Surveyor, and many others. She edits both fiction and non-fiction and creates newsletter and website content for her clients. As life and business partner of "The Webmaster" she enjoys taking websites from concept to design, including photo and copy editing. Maryjo often includes high resolution digital photographs to accompany her articles. Subjects of profiles, art exhibitions, and pampered pooches have all been captured through her lens. 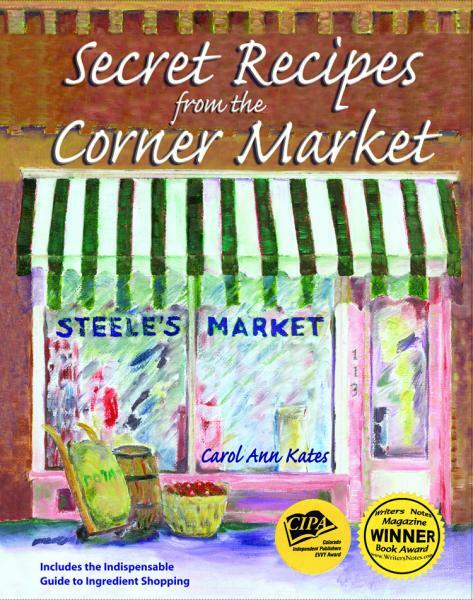 Her food column featured only recipes she developed, tested, prepared, and photographed; she paid particular attention to visual appeal as well as flavor and overall nutrition. Determined to produce only the highest quality images, Maryjo has been known to be on location at dawn to capture the best light, crawl on the ground or climb a ladder to gain the best perspective, and employ ingenious antics to obtain just the right expression to showcase her subjects. That process has included dog biscuits for canine subjects! Maryjo lives in Loveland, Colorado. Active in honing tools of the craft, she moderates the Weekly Writer’s Workshop there. As a member of Colorado Authors League Maryjo has enjoyed serving the organization as VP of Programs and Awards Program chairperson. Maryjo surfs the web in the course of freelance work research, news, and entertainment ... probably clicks a zillion times a day! She makes each search earn a few cents for a deserving non-profit organization; her current pick is Larimer County Search and Rescue. It is easy, doesn't cost a cent, and helps fill the coffers of a roll-up-their-sleeves outfit. Interested? You can add GoodSearch to your website, blog, or e-mails and spread the word! To find out how GoodSearch works, click on the icon. Want to be in the know? Visit the White House regularly and check out Rachel Maddow.